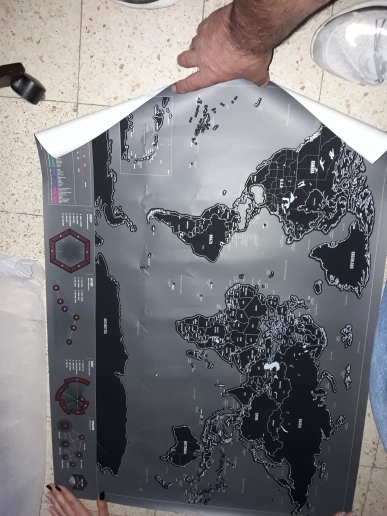 Decor your home with a touch of style and originality to fully express yourself and one of your biggest passions with this cute world map to be scratched and completed while exploring every corner of this planet. 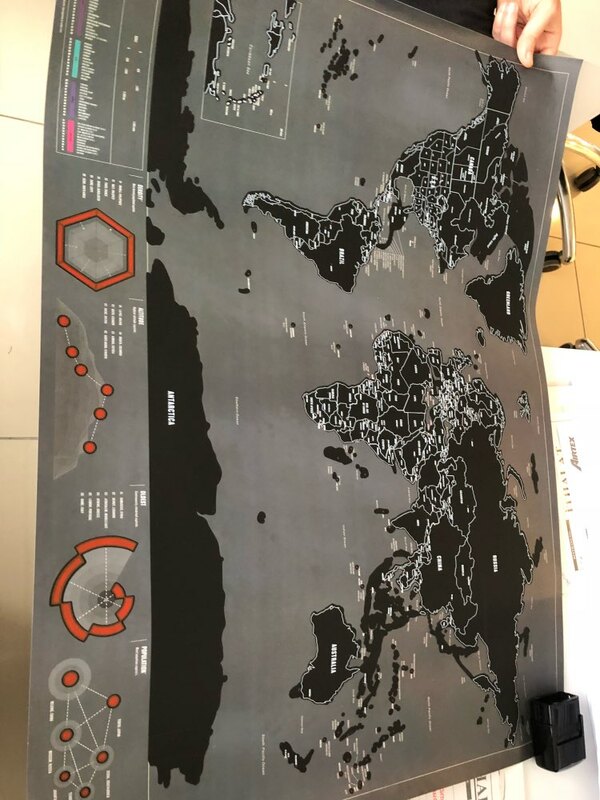 Futuristic and almost sci-fi design, this world map hides a marvelous secret: its surface can be scratched like a scratch and win ticket, to reveal all the places you have visited. 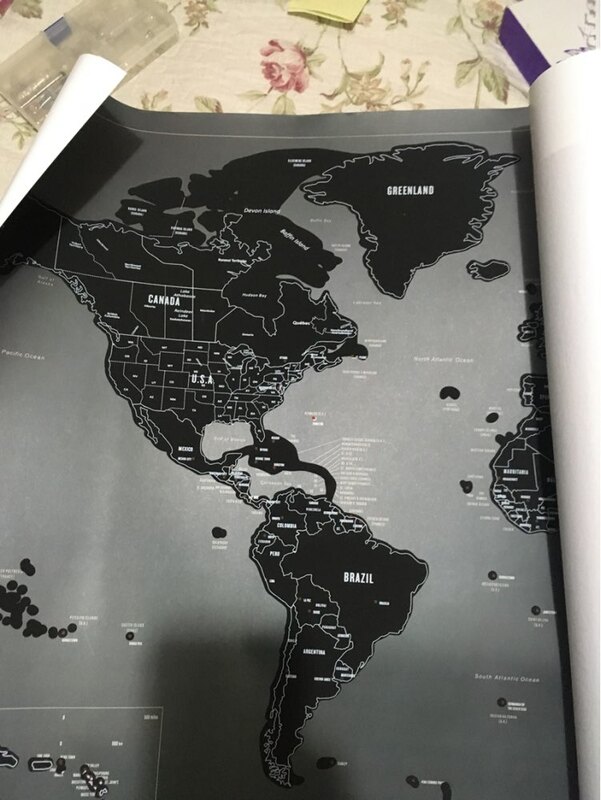 Reveal a bigger portion of the map day after day and show all your guests how many places you have conquered on our planet, while tracking your signs of progress with a touch of pride; otherwise you could give it to those friends who travel a lot, those who always have a bag ready and can’t wait to leave for their next trip. We are confident that you will make them happy! I've seen around a lot of those scratch maps but I'm very satisfied with choosing this one. It was a gift and was very appreciated. 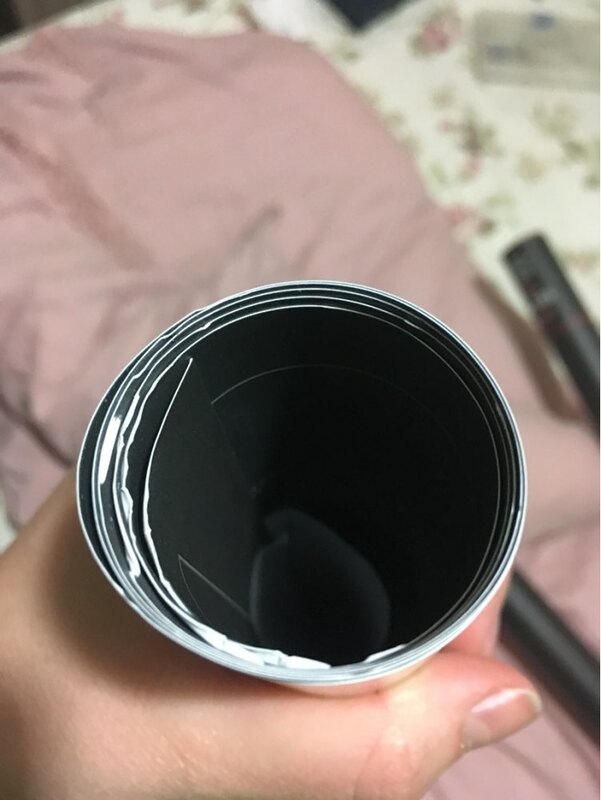 The product is like I expected but it came slightly damaged because of transport. Nothing serious but it's a pity. 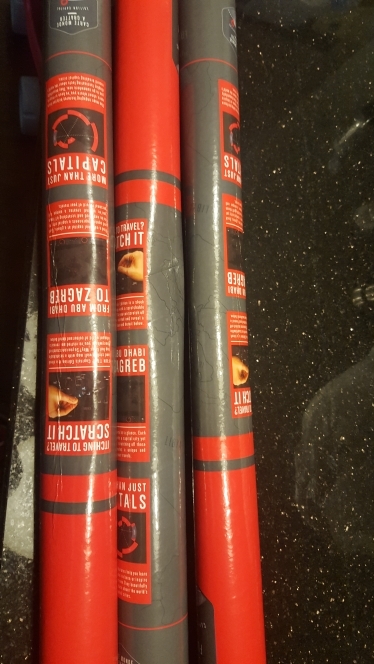 I was very pleased with the second batch and again with prompt delivery and undamaged delivery of the product.